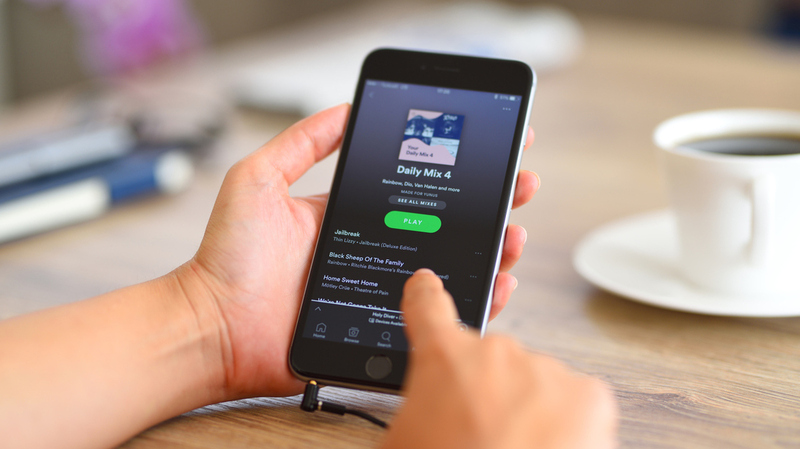 Spotify's Unusual IPO Model Will Test The Company's Strength Spotify's IPO, slated for this spring, gives investment banks a smaller role in the company's trading. It's been seen as a sign of Spotify's strength, but there are many unanswered questions. Spotify officials plan to make the company's IPO available only to institutional investors. With Spotify's IPO, the narrative so far has been that this is yet another tech company innovating and "disrupting" investment banking. But that image is starting to erode. Typically with IPOs, the company going public hires a big investment bank to both issue new shares and then go out and sell them. But Spotify plans to simply list its shares on the New York Stock Exchange and let them trade. That practice isn't done very often. "It's like saying, 'I got the coolest house on the block. Everyone will want to buy it, so why give a cut to a broker,' " says George G.C. Parker, a finance professor at Stanford Graduate School of Business. "To me, that is very analogous to a person that puts a sign out on the street and says 'this property is for sale by owner,' " Parker says. "Spotify, by doing this, is very confident that the public already understands Spotify's value, and that it does not need others to tell the story." Some analysts estimate this could save the company as much as $300 million in fees. Spotify's current private investors can also simply cash out without waiting for the traditional lock-in period to end. From this perspective, a direct listing is just a more efficient way to IPO. "We don't think at all that this is another way to go public. It's an inferior way, a defensive way to come out into the public market," says Kathleen Smith, founder of Renaissance Capital. Smith says that in 2016 Spotify got an unusual loan from a group of private investment firms, including Goldman Sachs. The investors demanded a number of conditions to the loan, "suggesting that the investors thought the company's private valuation was way too high," she explains. Spotify boasts 140 million users, but most of them don't pay. They listen to the ad-supported stream. Ad revenue is only $300 million a year — a fraction of what the service truly costs. The streaming service recently announced plans to move more aggressively into podcasting and multimedia news, a space where ad revenue may be more lucrative. Jake Shapiro, CEO of the free podcasting platform RadioPublic, says global podcasting ad revenue is about $250 million a year. "By all measures, it's growing by leaps and bounds and we anticipate doubling and tripling that revenue in the coming months and years," Shapiro says. So if Spotify's plans are successful, it would be positioned to take advantage of that growth. But right now, Spotify is still an unprofitable company, pushed towards an IPO by private equity firms eager to cash out. Smith thinks mom and pop investors aren't buying it. "Investors have been more cautious about companies that don't make money," she says. Spotify's IPO is scheduled for late March or early April. Many details remain to be worked out before that time.